NEW YORK — New York's attorney general on Wednesday sued Exxon Mobil, saying the Texas energy giant has misled investors about the risks that climate change poses to its operations. The lawsuit filed by Attorney General Barbara Underwood is the latest in a series of actions against the company claiming it has not been forthcoming with investors and the public about climate change. The complaint states Exxon courted investors such as the state's public pension funds with inaccurate information, assuring them it was accounting for the possibility of stricter regulations of greenhouse gas emission in its planning, when it was doing much less than it claimed. "Exxon built a facade to deceive investors into believing that the company was managing the risks of climate change regulation to its business when, in fact, it was intentionally and systematically underestimating or ignoring them, contrary to its public representations," Underwood said in a statement. Exxon Mobil looks forward to refuting the claims and getting the lawsuit dismissed, spokesman Scott Silvestri said Wednesday. "These baseless allegations are a product of closed-door lobbying by special interests, political opportunism and the attorney general's inability to admit that a three-year investigation has uncovered no wrongdoing," Silvestri said in an email. The lawsuit follows a three-year investigation by Underwood's office and similar probe in Massachusetts. Exxon Mobil had sued the attorneys general of both states after they subpoenaed documents about Exxon's research into the role of fossil fuels in climate change, calling their investigations politically motivated and accusing them of trying to take away the company's right to free speech. A federal judge dismissed that lawsuit. The complaint asks for an order requiring Exxon to correct past misrepresentations and provide restitution to shareholders. 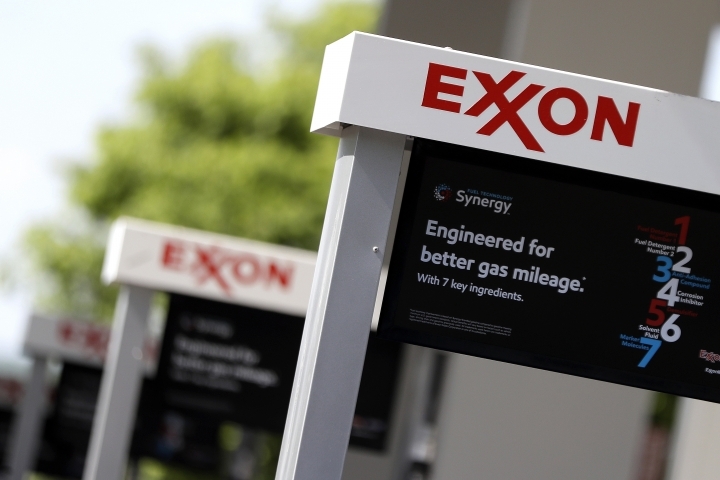 Two of New York's public pension funds hold Exxon shares with a combined value of about $1.5 billion, Underwood said. Consumer and environmental groups hailed the lawsuit as a significant step in addressing what they called Exxon Mobil's deception around climate change. The lawsuit "opens a new front in the climate change fight, with the prospect of a judicial reckoning and severe financial penalties for one of the biggest fossil fuel companies in the world," Blair Horner, executive director of New York Public Interest Research Group, said in a statement. A federal judge in June dismissed lawsuits brought by San Francisco and Oakland, California, that sought to hold big oil companies including Exxon Mobil liable for climate change. New York's lawsuit comes less than three months after the Securities and Exchange Commission dropped a similar investigation.